Hey there! I actually wore this little number last week, but never posted it. I had been looking everywhere online for a pair of thee perfect mint colored jeans. Some were see-through or they just didn't have my size. Guess where i found these babies? Target. 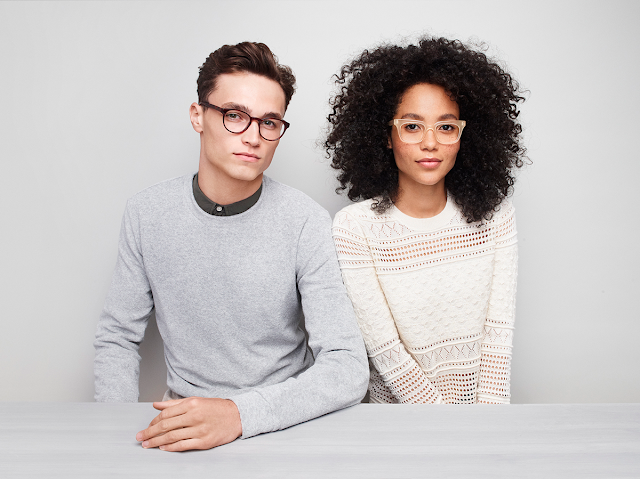 I love them and I can't wait to find some more tops to go with it. My new favorite bag. I've been eyeing this bad boy for awhile on Lulu's website just waiting for it to go on sale. It never did. It finally sold out and then a couple days later they got it in stock again. I had to buy it before it sold out again. and by the way ladies, I've recently ordered through JustFab and if you use my referral link, you can get 20% off your first purchase! Love this color scheme! 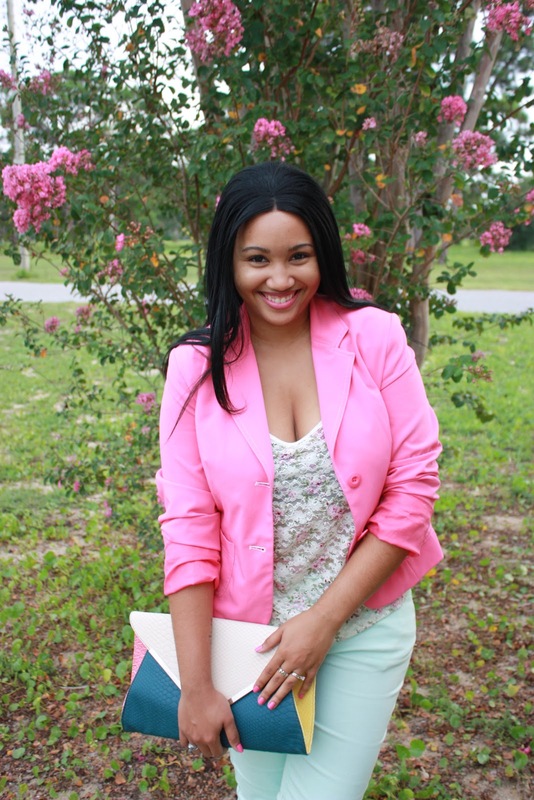 The pink blazer is gorgeous and I'm obsessed with your clutch! Gorgeous blazer! And I love your clutch! i love all the pastels and floral in this outfit!! the mint pants fit you perfectly, don't you love target!? absolutely love Target. always get in trouble when i go there! 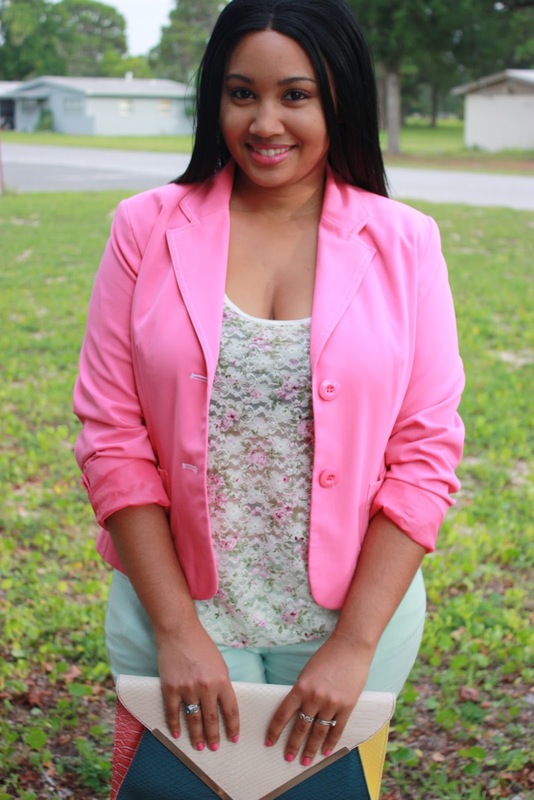 Looking lovely in your pink blazer, darling. P.S. I found your blog from other blogger, by the way. of it, and if you'd like we can follow each other on GFC. 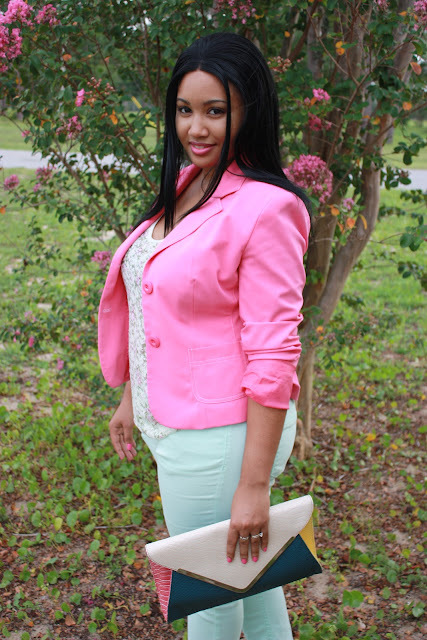 Chic look, love the blazer,nice blog, follow each other?